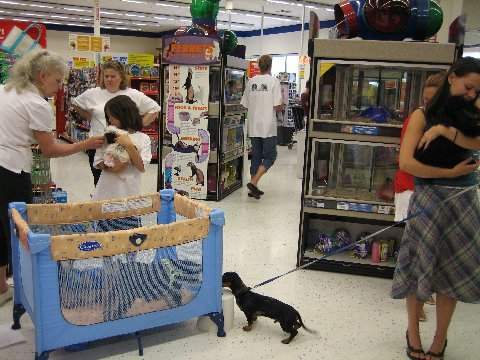 It was a busy and fun filled day at Petco's 's National Adoption Day Park and Bark and Meow Event in Muskegon, Michigan. Our volunteers Marianne, Val , Val's daughters, Allie and Gabriela were so helpful. And we had a special visit from one of our volunteers Marg who was here from Florida. She enjoyed meeting and greeting all of the people. 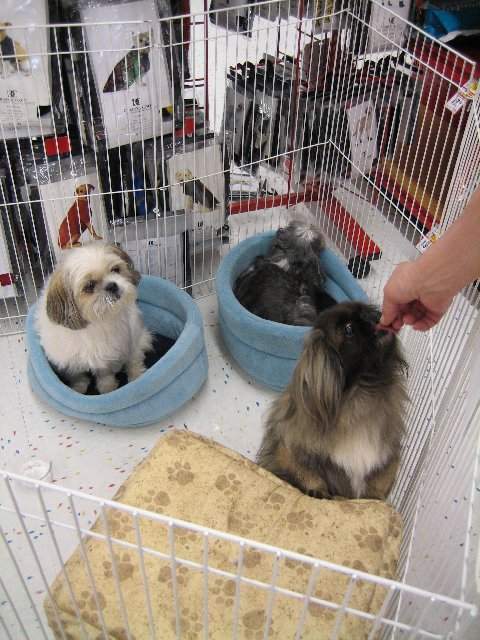 Tiki and Tulip(Shih Tzus) also came with Marg and it was a delight to see them once again. I was able to attend the function while Bruce stayed at home to watch the pupsters. Devin(Yorkie), Megan (Schnauzer), Sydney (Shih Tzu), Marcy (Pekingese), Triton (Shih Tzu), Andre (Poodle) and Giggles (Shih Tzu Puppy) doled out lots and lots of kisses to everyone. Our Rolex and Precious who are the stars of our logo came along to meet and greet everyone also. 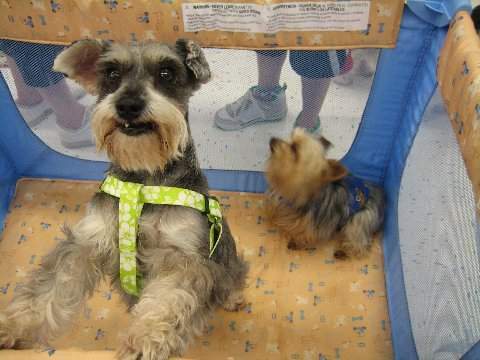 We set up inside so that the pupsters could stay nice and cool and fun was had by all. Dugan visited once again and this time he brought his pupster sister Eve with him. Marcy made every attempt to woo Dugan, but he wasn't having anything to do with that! We met so many wonderful people who enjoyed meeting the pupsters and finding out what rescue is all about. It was wonderful to meet Anna, who arranges the events and Kevin, the manager of the store. They set up x pens for the babies and were so very helpful. 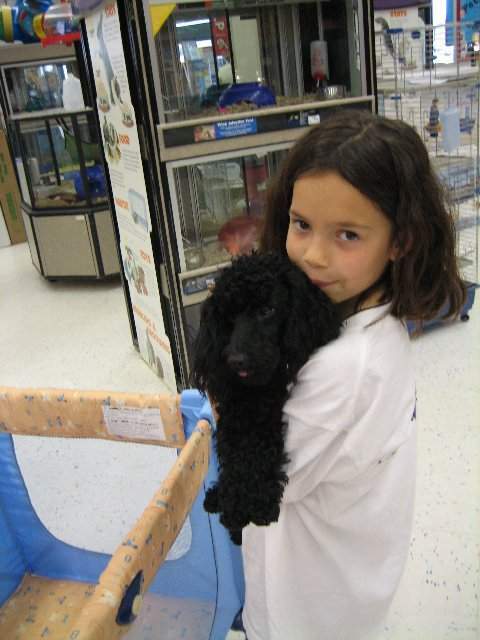 Again a special thank you to Petco for including us in their Adoption Day. We appreciate all that our volunteers, Marianne, Val, Marg, Gabriela and Allie did for the pupsters. Making sure they had fresh water, walking them, taking them out potty and most of all giving them lots of hugs and kisses. 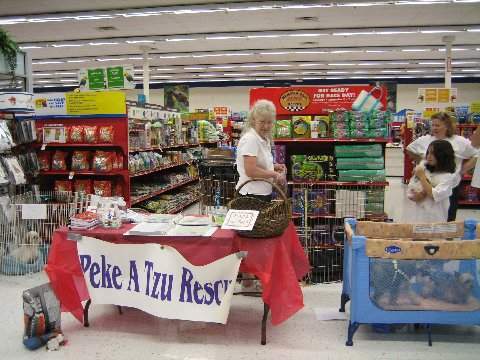 Copyright© 2006 - 2009, Peke A Tzu Rescue. All Rights Reserved. Photos property of M. Krass. Do not take anything from the site without permission.